Numbers one to five space themed file folders. 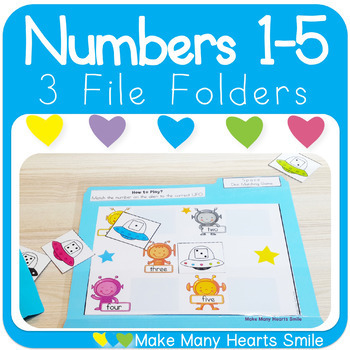 In this numbers 1-5 Get 3 for 2 pack you will get 3 file folders for the kiddos to practice numbers to 5 with cute aliens, planets and spaceships. One file folder to match number words and numerals, another to match dice and number words and the last one to practice tally marks and numerals.